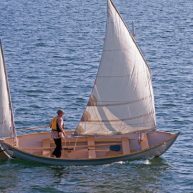 The story of coastal Maine is the story of ships of all sizes, and across Maine there are schools that teach the art of boat building. Take a class or just come by one of the schools to see how it is done. 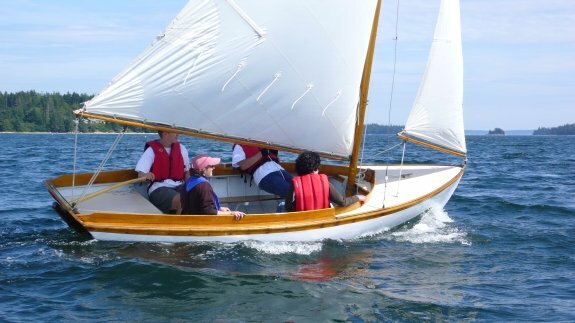 Located in the tiny coastal town of Brooklin, the WoodenBoat School is an extension of WoodenBoat magazine. This well-known boat building and sailing institution has provided “access to experience” for thousands of people in construction, maintenance, repair, design, seamanship, metal working, canvas work, photography, and other related craft. 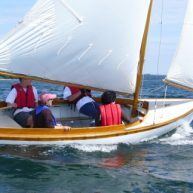 Emphasizing “hands-on” learning in a relaxed setting, the WoodenBoat School is a meeting ground where folks of all ages, backgrounds, and experience levels can gather to meet, live, and work among others who share similar interests. 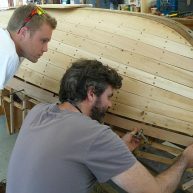 In Rockland, at The Apprenticeshop the core traditional boat building programs include the 2-year Apprenticeship Program, an intensive experience designed to teach all aspects of traditional wooden boat building; the 12-week Small Boatbuilding Program, a shorter course designed to give participants an understanding of basic traditional boat building; and the Extended/Advanced Intensive Program for those with previous woodworking or boat building experience. The Carpenter’s Boat Shop in Bristol takes a slightly different approach. 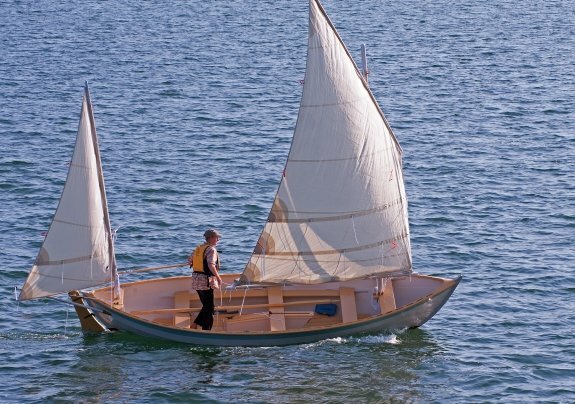 It is an open and affirming intentional community designed around a nine month apprenticeship program committed to traditional wooden boat building, seamanship, and service. 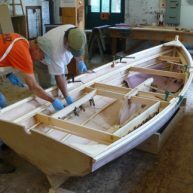 The Carpenter’s Boat Shop has provided a safe harbor for people from around the country who are navigating the seas of transition from a variety of life circumstances. 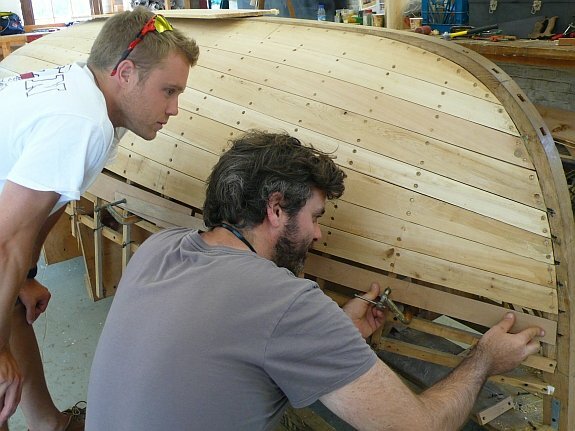 The Landing School in Arundel focuses on preparing for careers in the marine industry as practical designers, builders and systems technicians, whether working professionally on today’s vessels, adapting to the industry’s evolving technology while imagining and building the boats of the future. 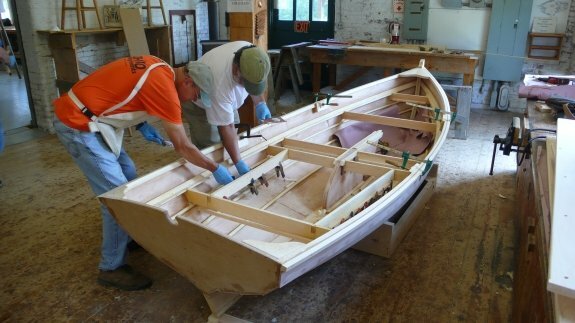 To maintain your own boat, to restore a boat, do woodworking around your home, to build your own fine furniture, the skills offered at The Landing School can follow you home.